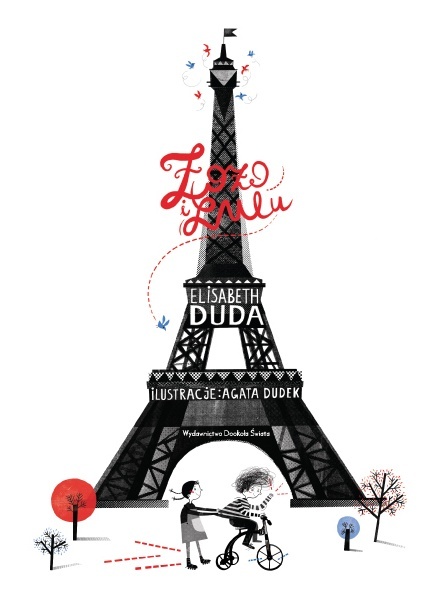 I have to admit that for a long time I thought that children books in Poland are really not fun and few months ago thanks to very nice small bookshop with amazing girl who now everything about them I discovered whole range of great books which I have impression are always hidden in the bigger stores. 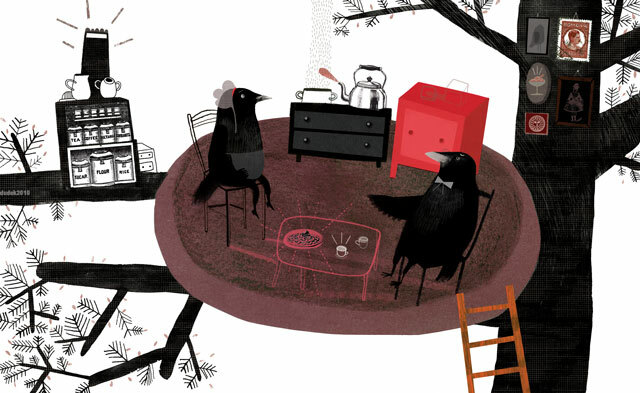 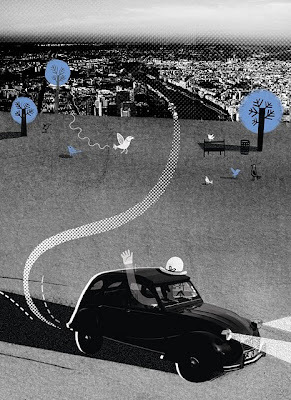 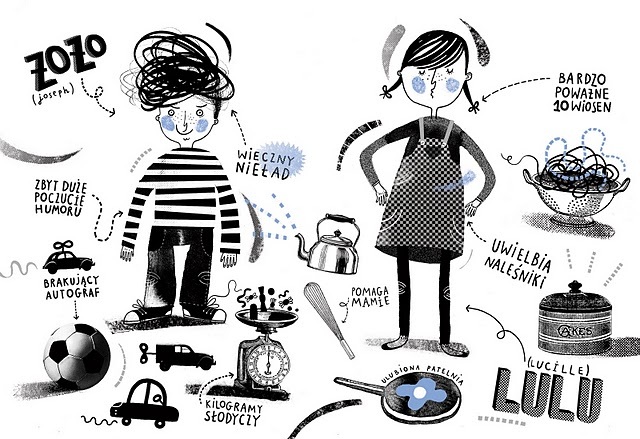 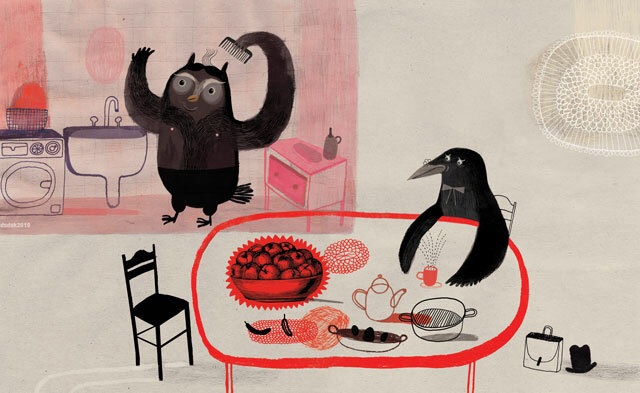 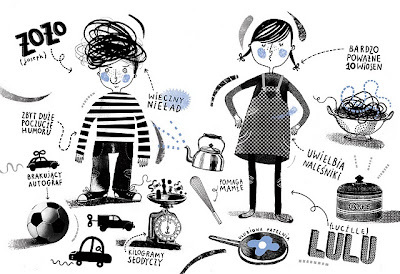 Agata Dudek is one of my favourite illustrator above few illustrations from her upcoming book Zozo i Lulu and titles which are already available Scary Monsters (Straszne Strachy, published by Endo) and Crows and snake (Wrony i waz, published by Dwie Siostry). 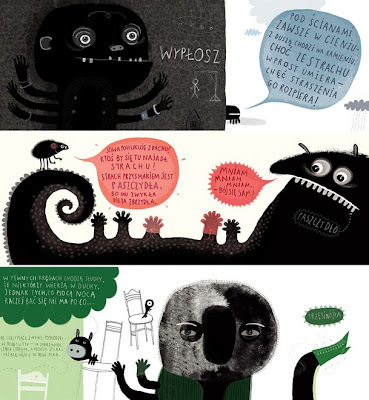 tengo que ir a la biblioteca de mi barrio a ver si tienen alguno de estos libros.